If you’re looking for an Austin funeral home, Salado funeral home, Temple funeral home or Killeen funeral service provider that caters to military veterans, our Austin and Killeen/Temple locations are conveniently located and provide the options you need. Offering military cremation and Killeen cremation services that include a free U.S. Flag, we aim to make the experience as memorable and special for loved ones as possible. Grave space in State or National Veterans Cemetery, Opening and Closing of the grave at State or National Veterans Cemetery, Concrete Liner for Grave at State or National Veterans Cemetery and gravestone. This benefit only applies to National or State Veterans Cemeteries and may not available when family selects a private cemetery. 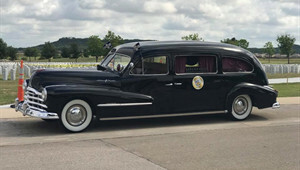 We are the only funeral home that can provide vintage hearses for veterans ceremonies. This additional option is available when weather permits. Ask us about our award winning Vintage Funeral Coaches. 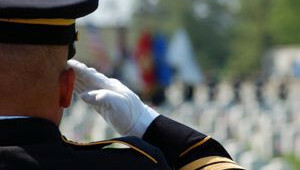 Call or email us today to learn more about our military funeral options.